Let this UV eagle overlay keep your organization that much more secure. 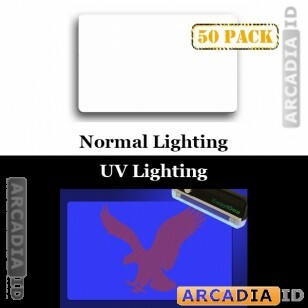 These overlays come in packs of 50 and show a holographic eagle when held under UV light. This makes it very hard for cards to be copied. Not sure what you're looking for? Contact us anytime for more information.